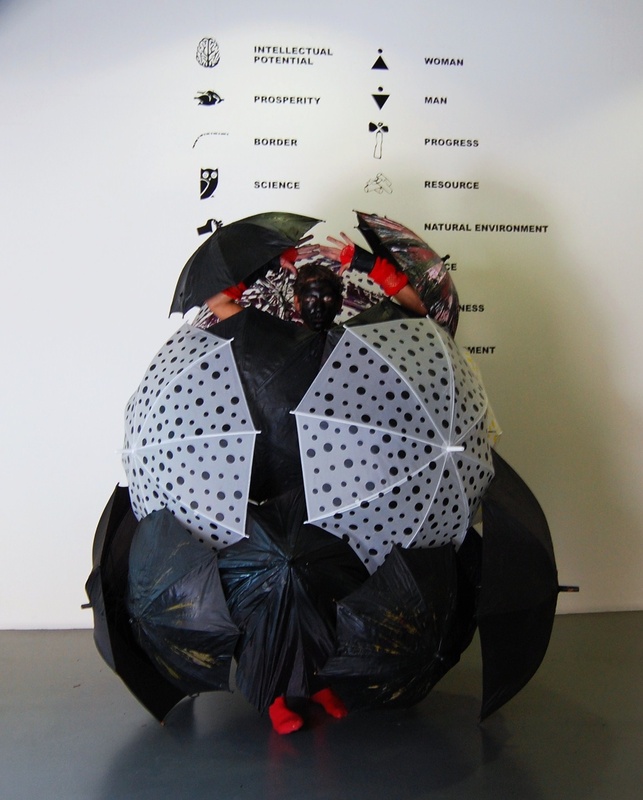 Umbrella Revolution was conceived in a residency program in Turin and performed in Milan (2009) and Prato (Florence, 2009). 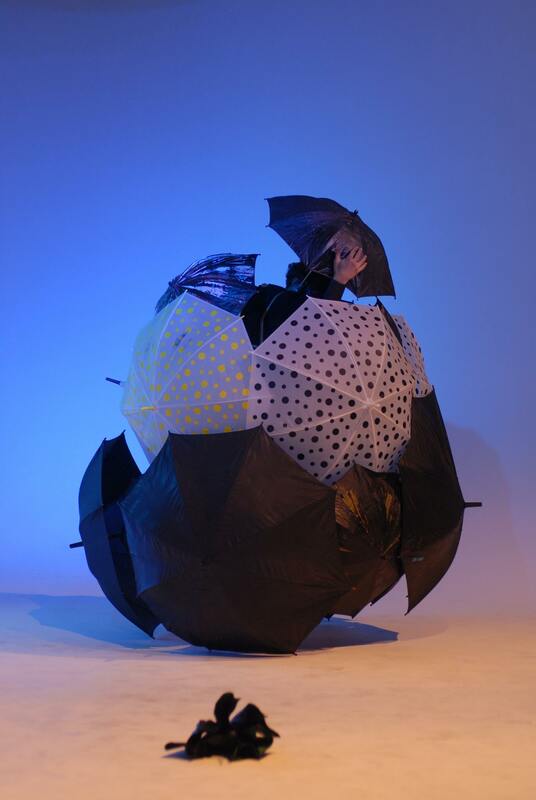 During the performance, a structure holding 18 umbrellas of different sizes is worn, creating a sort of ball protection when opened. Umbrella Revolution's construction was displaied at Museo Leone in Vercelli, Italy (2010). Perfomed in Museo Leone in Vercelli. 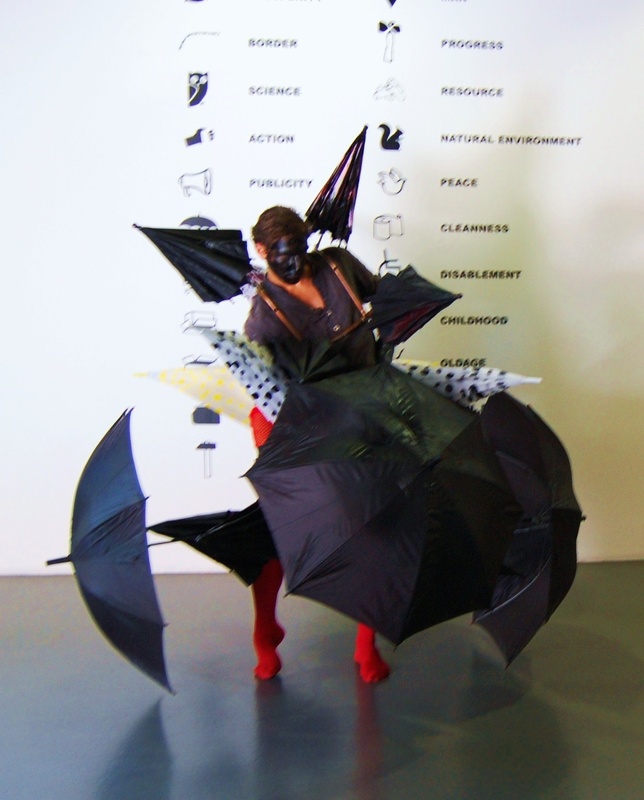 Umbrella Revolution, Milan (2010), performed at Spazio Ripicche. 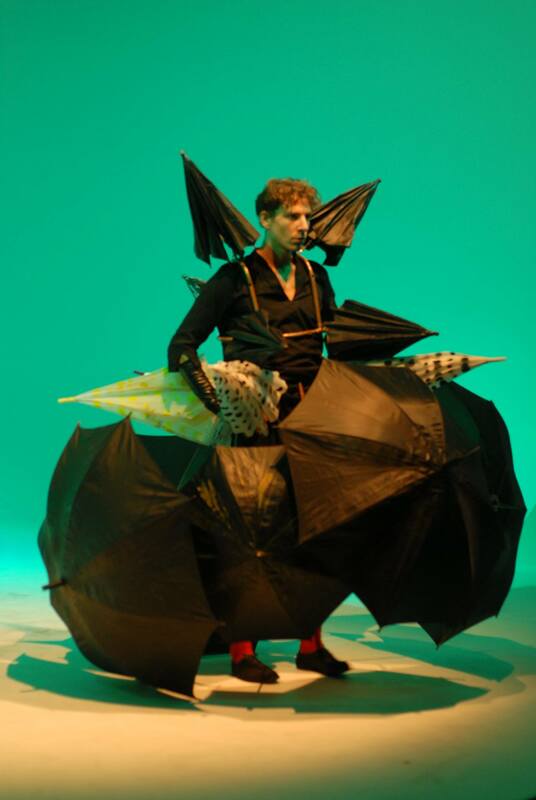 Umbrella Revolution (or Anti malaria) was performed after a two week residency in North Italy. After an intense period of workshops and tours in remote areas of Italy, organized by VDA, I created a structure which consisted of 18 umbrellas. In Italy, at the end of 19th Century, malaria cases amounted to two million with 15,000–20,000 deaths per year, farmers working in the rice field in Italy were often catching malaria. This is where the performance was born, as a symbolic protection from illnesses, both mental and physical. 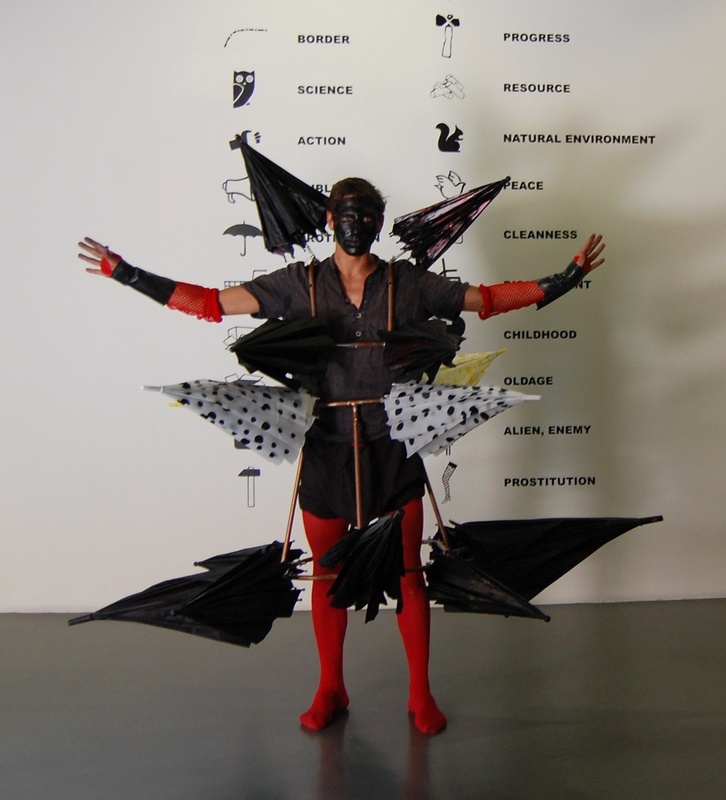 The umbrellas are symbolizing a protection tool for humanity, a post-organic structure against illness.